Here’s a shocking statement! If you are not funding a retirement program that reach six figures or more by the time you retire in the next 5 to 10 years; you may find it difficult to maintain the comfortable lifestyle you’ve grown accustomed to. Most people assume that one day they will automatically step off the working treadmill into retirement. But let’s face it, there is no guarantee that when you are 65 or even 70 that you will be financially ready or even able to retire. The reality is that people approaching or planning retirement today are facing a very different environment from two decades ago. 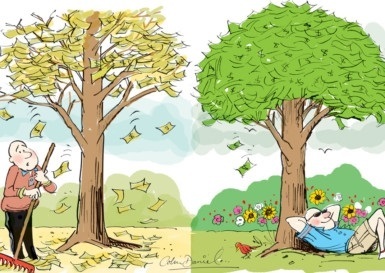 Even those astute individuals with adequate assets in either private savings or defined contribution pension plans can expect to see wide swings in equity prices that could impact their retirement income. It is also not surprising that recent surveys show a jump in the number of people at or nearing traditional retirement age that are still working. 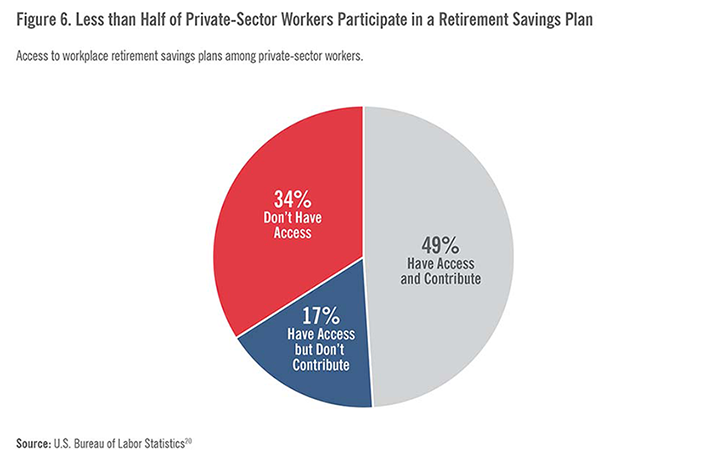 In fact, many say they plan to stay in the workforce for as long as they can. Financial experts concur that a major cause for this phenomenon is usually due to insufficient financial resources. Many people fail to plan for retirement early enough or, because of poor financial management are faced with living below the poverty line if they retire. These situations also contribute to a lack of confidence in the ability to maintain a comfortable long-term financial status. The National Institute on Aging confirms that the number of people that continue working past their 65th birthday is increasing. For instance, census records indicate that the number of individuals past retirement age that are still in the workforce increased from 12.1% in 1990 to 16.1% in 2010. 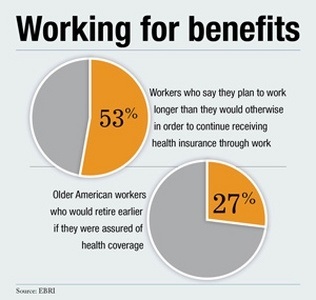 Although it is difficult to pin down the specific number of seniors that are currently in the workforce today, surveys show delays in retirement has skyrocketed and is at or near projected numbers. a) Working as a way to ease financial concerns in retirement. b) Decline in the value of financial assets. According to the one survey; at least 62% of people between ages 45 and 60 experienced at least a 20% loss in value of their financial assets in 2010.
c) Lower interest rates that occurred between 2010 and 2012 in the U.S. resulted in significantly reduced yields on savings accounts, certificates of deposits, government bonds, and other retirement savings resources. This is particularly impactful for people in or near retirement because low interest rates disproportionately affect conservative investments. d) Loss of a job or reduced income often cause people to pull money out of retirement saving accounts. Retirees without an emergency fund, often have to dip into savings for living expenses and end up seriously diminishing retirement accounts. e) Working for job-based health insurance coverage. they are simply not proactive about retirement planning. A good financial plan can ensure a comfortable and happy retirement. Since there is no one- size-fits-all solution to retirement, it is important to be proactive about designing a plan that will work for you. For most people, their current income must not only fund their current lifestyle, but must also be allocated to eliminate debts from their past as well as prepare for retirement based on projected financial needs. This may seem daunting, but a qualified financial planner devises a plan to make it feasible. The bottom line is, being proactive about planning for this phase of life can help you to to maintain your current lifestyle and even some perks during retirement.